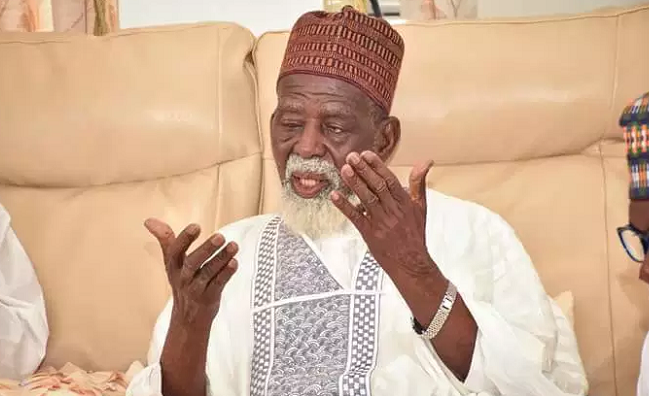 The National Chief Imam, Sheik Usmanu Nuhu Shaributu, has lauded the National Population Council (NPC) for daring into population issues, a move he said is very important if Ghana wants to see measurable growth and sustainable development. He expressed his unflinching support for NPC and mentioned that his office is opened to the secretariat to ensure that his people are well informed on population and related issues so that they can contribute to help achieve the NPC mandate which is;’’a better and sustainable life for all’’. He made this pronouncement when the Executive Director of the National Population Council, Dr. Leticia Adelaide Appiah paid a courtesy call on him at his residence in Accra to inform him about the need to take population growth seriously to help bring development to their various communities by growing their human resource and not their numbers and as well seek his blessings and support for NPC. Dr. Appiah in her submissions made the clearer the mandate of NPC as being an advisory body to government on population issues for government to integrate into their work to help meet the agenda 2020 goals set by the Country. According to Dr. Appiah, there is indeed strength in numbers but it is a more focused strength if there is quality of numbers than only mere numbers without quality. ‘‘ In the 1950’s when we did not have our children being immunized against the six killer diseases, a lot of them were dying from the measles and all but today we have free immunization for all newly born babies hence the rate of deaths recorded has dropped considerably thus the likelihood of all babies surviving is real’’. This she said is an indicator that if you have three children, they would all survive because of a better health system as compared to former hence the need to cut down on births to ensure quality of life for our children. She also opined that Allah made us to be interdependent hence the need to support our less privileged to bring them to speed with the changing times through education on population management and its role in National development. ‘‘The population structure is divided into three, the below 14 years who are pure consumers who only consume and produce nothing, 15 to 64 who are producing and the working class and 65 and above who have retired, so it is important that those who are not producing don’t over burden those who are producing, otherwise, it will be impossible to develop irrespective of your natural resources ’’ she remarked adding that the human capital is needed to develop the human resource but most at time we confuse the human resource with the human capital. She further urged the elders to look at the good examples of Iran and other Islamic countries and follow suit to help provide an improved and sustainable quality of life for all.